This electricity guide is meant to show the various relationships between electrical terms we hear at every event, like watts, amps, and voltage. 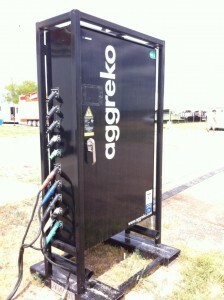 It also talks about the various cables, plugs, and extension cords we may encounter at events. 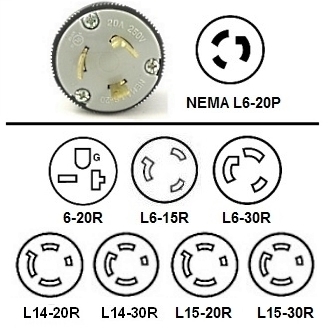 By US code, all major appliances have a ratings plate on them, usually where the wire goes into the appliance. It tells valuable information like how much amperage it takes, how many phases, what voltage etc. If you are renting equipment, you can ask their supplier for that information. kW or kilowatt = 1,000 watts – a measure of true power – usually 80% of kVA. Stick with kW rating as reactive power has already been accounted for. 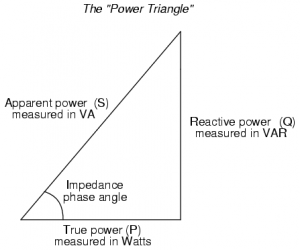 kVA or 1,000 volt amps – a measure of apparent power – difference is whether the current (amps) and voltage are in phase with each other. Looking for more electrical terms defined? Please visit this comprehensive glossary of electrical terms here: https://electricalschool.org/ – updated weekly. View CustomAV Rack’s website for more details on amperage, voltage, and other details of each type of plug. 30A=10 gauge or higher (note: edison outlets are only rated for 20A). 150A = 2 gauge or higher. 200A = #1 or higher. A 100A single phase service will provide 200A @ 120V or ten 20A/120V circuits while a 3 phase 100A service will provide 300A @ 120V or fifteen 20A/120V circuits. A 20A thermal breaker is only truly capable of about 16A of constant load – all breakers will have a safety cap of 20% – keep this in mind when finalizing your power needs. A good rule of thumb is to have no extension cord longer than 300′ from the power source as the power starts to diminish after that point.